Preparing topsoil for landscaping, nurseries, sport fields and yards is probably the most common application for screening buckets. Different materials like sand, topsoil, compost, fertilizers etc. can be mixed and screened to achieve the perfect mixture for each use. Combi E8 screening plant is a non-clogging screening plant for preparing topsoil and processing various waste materials. 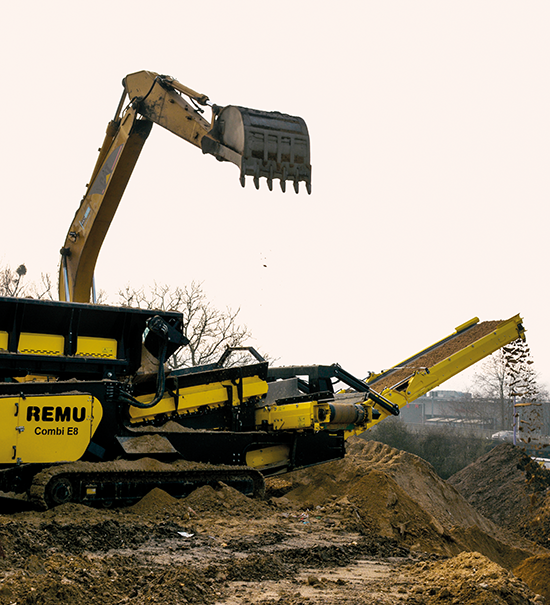 The REMU Combi E8 is easy to transport. Both conveyors can be folded up for the transportation. “Maximising productivity, minimizing investment. Our mobile screening plants are durable and give outstanding productivity. " Combi E8 screening plant is a non-clogging screening plant for preparing topsoil and processing various waste materials. 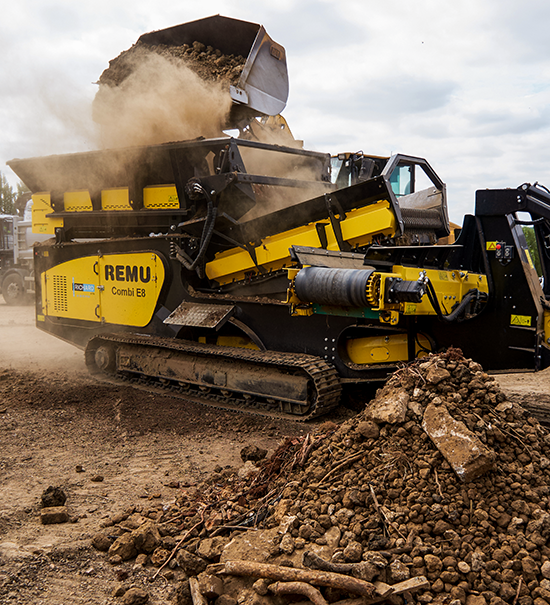 REMU Combi E8 is easy to transport. Both conveyors can be folded up for the transportation.